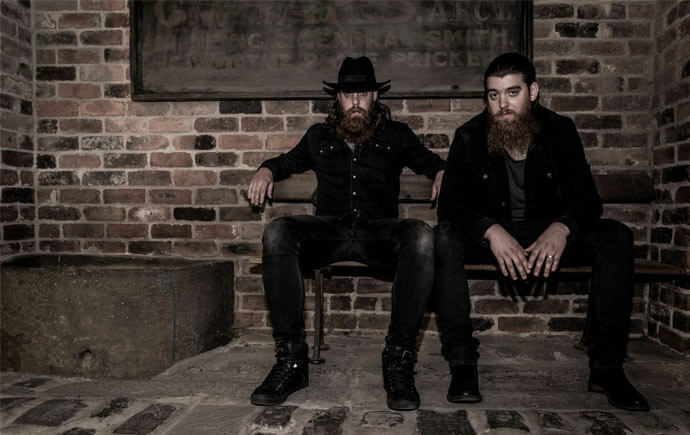 Brothers, beards and blues rock – welcome to the world of Cellar Door Moon Crow. 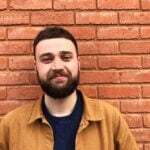 The Sheffield duo have been turning plenty of heads recently with a number of energetic, balls-to-the-wall releases coming out of their Fat Elephant studio. After playing in popular Sheffield bands The Dodgems, Elephant Keys and Feral Brood, siblings Phil (Vocals/Guitar) and Tom (Drums/Keys) decided to make it strictly a family affair last year and are currently preparing to release their first EP, scheduled to drop at the beginning of 2017. 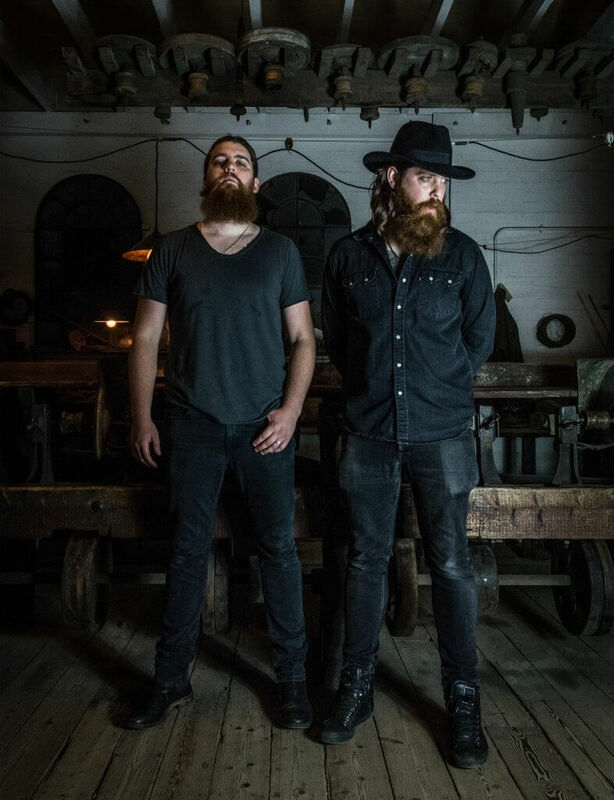 Last month we spent a day boning up on local history at Kelham Island Museum before grabbing a pint to discuss their upcoming Exposed session, the new single and killing zombies. Hi gents, what tracks will you playing for Exposed at your live session? Phil: We’re going to do our first two singles, ‘Backlash’ and ‘Tightrope’. They’re two really strong tracks for us to play live. Good call. ‘Tightrope’ is a cracking tune. Tom: Yeah, it gets you rocking straight from the start. Phil: It chugs along nicely and it’s kind of bouncy. It’s good fun to play. Let’s talk about the upcoming EP. What tracks will be featured on that? Phil: It will be a four-track EP, and each song has a different flavour to it. But yeah, it will be ‘Backlash’, ‘Tightrope’, ‘Forgiveness’ and ‘The Whistler’. Tom: They tie in together but, yeah, each song is very much its own thing. Going back to the songs, ‘Backlash’ was the first track you put out, right? Phil: Yeah, I guess the theme of the song is basically all about coming from a five-piece band then going down to a two-piece and having the confidence to go for it as CDMC. Tom learned the drums to be in this band and we spent all of our time before playing in bigger bands. Then, all of a sudden, it’s just the two of you and you’re wondering how you will be taken. It’s about having that self-belief and going for it. Tom: Each track has a little story behind it. We decided to do a photo strip to accompany each track, so I called in a favour from a photographer I knew and we got suited and booted, I took my gun, and we went up to Damflask for this shoot. Wait. You have a gun? Tom: Yeah man, I have two great guns – a handgun and a rifle. I don’t go hunting or owt, I’ll just do a bit of target shooting. So, anyway, we went down to Damflask for the shots to accompany the record and ended up scrapping in the water for a bit. It was minging, there were dead birds everywhere and this one bird just fell out of a tree right next to us. We didn’t really think about how mucky the water was, but we ended up getting poisoned and we were both ill for weeks. Phil: By the way, since you mentioned the gun thing, Tom’s like the most well-prepared person on the planet for a zombie apocalypse. Tom: Yeah, I’ve got an armoured Land Rover with metal guards over the windows. I’ve also got a hammer with a sharp bit on the back, just in-case my guns don’t work when the zombies are around. Who’d last longest out of you two in a zombie apocalypse? Tom: We’d die together, man. Phil: Yeah, we’d go out fighting back-to-back. There’s a cheeky rap verse thrown in on ‘Backlash’, which is something a bit different. Phil: I’m not sure if Jay Z heard it he’d be reyt impressed, like. But yeah, it’s a really fast verse and kind of takes you out of your comfort zone a bit. We’re aware that being a two-piece people are going to quickly compare you to sounding like The White Stripes or The Black Keys, and we wanted to offer something a bit different to counter that. We didn’t want to be branded straightaway as being a tribute to someone else, so we spent a fair bit of time trying to find our own niche. So, have you been playing music together from a very early age? Tom: Pretty much since we first learned instruments at the ages of seven and nine. Phil started on guitar and I started playing piano – we had proper lessons, learned to read music and all that, and then studied music for GCSEs and A-Levels. Then as soon as we started playing in bands we were always together. Phil: Yep, there was a cover band called Gypzy, then that morphed into the Dodgems and obviously we did quite well with that – even if we did manage to blow six grand on making a record for Alan McGee which both of us weren’t really happy with. Anyway, after Dodgems we decided we wanted to get a bit more involved in the production side of things and set up Fat Elephant Studios. We also played in The Elephant Keys and Feral Brood, which was basically a super group — on a local level anyway. Have you always been into the same sort of music growing up? Phil: No, we had very different tastes. I was a proper Oasis kid and basically wanted to be Liam Gallagher. Tom: When we were teens and a bit younger, I was right into Bob Marley and Dre. Phil was more into his big guitar bands. It wasn’t we hit our twenties that we both started listening to the same things. I’ve got to ask. Who had the beard first? Phil: Tom. He’s had one since he were about 10. Tom: Well before it became trendy. I was actually gutted when they became popular.